Killen Falls is one of the best waterfalls near Byron Bay. The gushing 10-meter waterfall is the perfect place to cool down on a hot summers day with a large swimming hole below Killen Falls and plenty of space to sit back and relax. 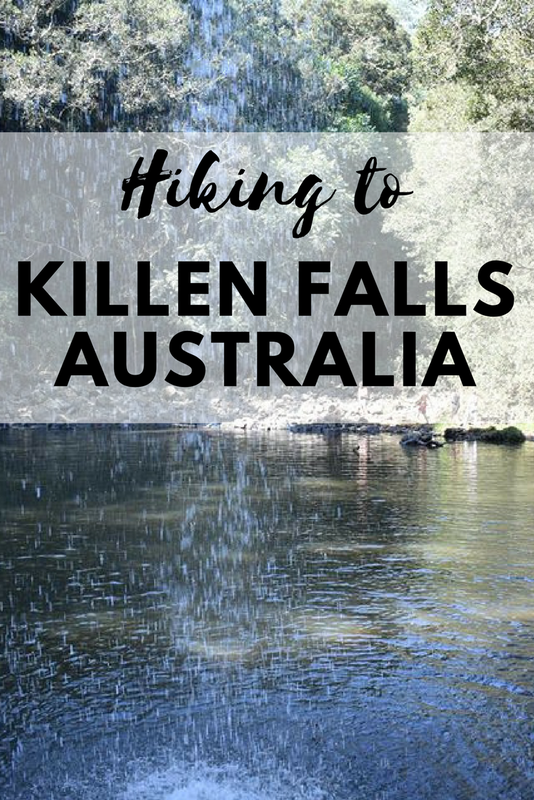 I suggest packing a picnic for your trip to Killen Falls because you won’t want to leave! The trail to Killen Falls is a short, 20-minute walk from the car park to the base of the falls. Along the way, you will come across a viewing point at the top of the falls, which is a great place to stop for a few photos. From here the trail gets steep and slippery for the final 5 minutes before you reach the base of the falls where you can swim. When you arrive at the base there is plenty of room to sit down and you can even walk and sit behind the waterfall. The trail is unpaved and uneven in spots but still considered suitable for all ages and fitness types. Killen Falls is a 30-minute drive from Byron Bay, making it one of the closest and most impressive waterfalls near Byron Bay. Killen Falls is found along Emigrant Creek in NSW, located at the end of Killen Falls Drive, just outside of Newrybar (north from Ballina, south of Byron Bay). I suggest using Google Maps to find Killen Falls (map embedded for you). Parking is limited. The worst case scenario is that you would have to park along the side of the road and walk an extra 50m. Pack water, snacks, swimmers, a towel, your phone and a camera or go pro. There are no facilities at Killen falls, but you will be able to find cafes and restrooms in Newrybar which is on the way to Killen Falls. I suggest stopping in at Newrybar on your way back from the falls for lunch. Food Story or Harvest Newrybar both serve amazing organic food. Keep an eye out for snakes at Killen Falls, the area has a lot of them! If you take rubbish in with you, take it home with you. There are no rubbish bins at Killen Waterfall NSW. Pack a picnic to enjoy in the beautiful setting. Looking for something else to do in the area?